HTML Editor is a Notepad-style HTML editor that features a toolbar for quick access to those often-used functions. This program uses syntax highlighting to make the coding of Web pages easier. It also has an Items Palette to add HTML tags to your pages, as well as a Preview in Browser button. 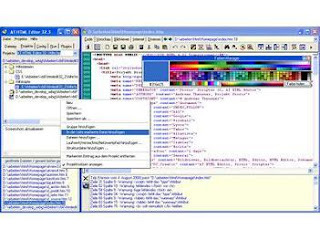 The HTML Editor Application can open most text-based files, and has support for compiling Java apps with a Java compiler.